Now, if you are looking for a job which is related to Web Technology then you need to prepare for the 2019 Web Technology Interview Questions. It is true that every interview is different as per the different job profiles. Here, we have prepared the important Web Technology Interview Questions and Answers which will help you get success in your interview. Q1. What is the use of Webkit in CSS3? Q2. What are the CSS Box Model and its components? Border: The border component will get affected by the padding and content fields used around the border and we can change the background color of the border also. Margin: This component is the top layer of the CSS box model. Padding: This component defines the spacing in the box model that is the positioning of elements in the box. Content: This component represents the content needs to show in the box. Q4. Mentions the APIs which are approved by HTML5 recently? This is the basic Web Technology Interview Questions asked in an interview. The APIs which are approved by HTML5 are media API, application cache API, text tracking API, history API, data transfer API, command API, user interaction API, and constraint validation API are the APIs approved by HTML5 recently. Let us now have a look at the advanced Web Technology Interview Questions. Q6. What is the difference between session storage and local storage objects in HTML? Local Storage: In local storage, objects don’t have any expiry for the data stored in it and local storage object have no permission to delete the data after the browser is closed. Session Storage: Whereas session storage keeps objects in it up to when the session is alive and it clears the data stored in it when the session is closed. Alert: This popup box will display a message with an Ok button to proceed further. Confirm: This popup window will have display a message with an Ok and Cancel buttons and we need to click one to proceed further. Prompt: This popup is a dialog box which asks input from a user and has Ok and Cancels buttons after entering user input to proceed further. Q8. What is Z-index in CSS? The z-index in CSS is a property which is used to define the stack order of the elements based on which elements will display on the web page (i.e. higher order elements will display before the lower order elements in the web page) and we can apply z-index only to position elements like position: absolute, position: relative, position: fixed etc. Q9. What is the difference between Canvas and SVG? Canvas doesn’t provide support for event handlers, depends on the resolution, ideal for graphic-intensive games development, and works for only small rendering areas of the web page whereas SVG doesn’t depend on the resolution and provides support for event handlers, not suitable for gaming, and performs well for the rendering of large areas like Google map etc. Q10. What are the new form elements in HTML5? Output: This form element defines the result of an expression. Datalist: This form element is used to specify a list of options for input controls. Keygen: This form element is used to generate encrypted keys. 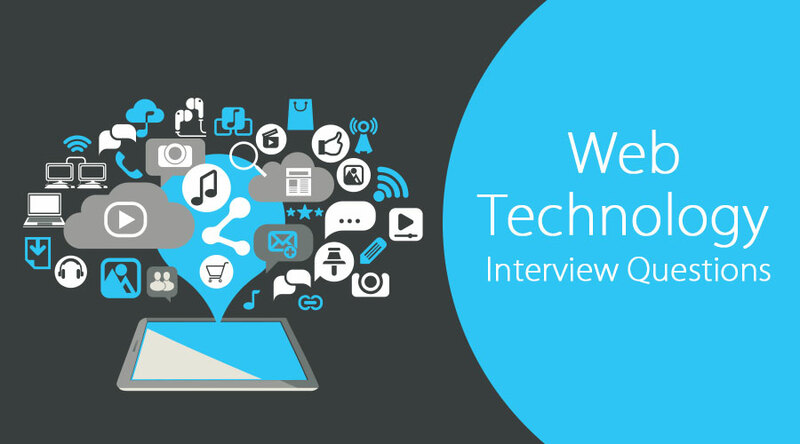 Finally, it’s an overview of interview questions and topics discussed on web technologies. I hope you are preparing well for the interview and this article will help you further in the preparation and enables you to crack the interview.